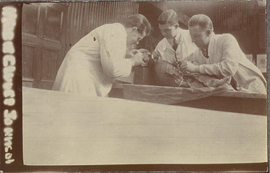 Three men performing dissection at Surgeon's Hall, photograph. 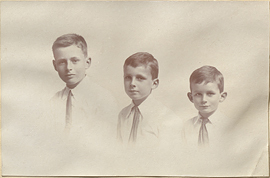 Three young boys dressed in white with neck ties, photograph. 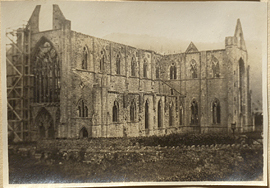 Tintern Abbey from the southwest. 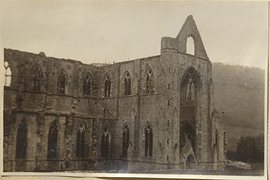 Tintern abbey with scaffolding, photograph. 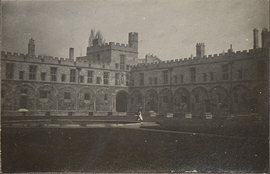 Tom Quadrangle, Christ Church College, photograph. 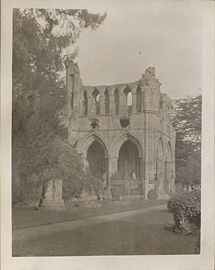 Tomb of Sir Walter Scott, Dryburgh Abbey near Edinburgh, photograph. 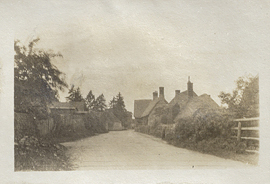 Tree lined street in the village of Wytham, England, photograph. 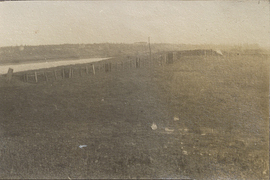 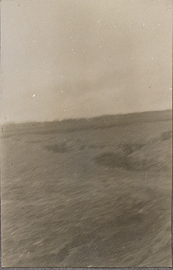 Trenches near Ris-Orangis, France, photograph. 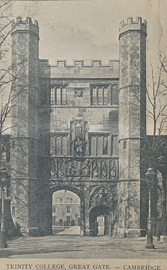 Trinity College, Great Gate. 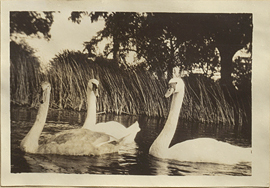 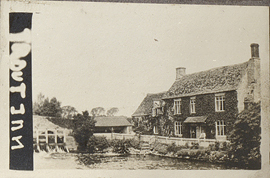 - Cambridge, postcard. 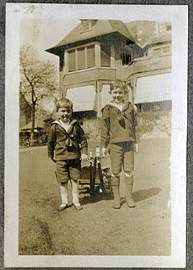 Two boys in sailor suits holding a wagon, photograph.